I graduated from high school back in 1983. Although I don’t consider myself young, I certainly don’t think I am old either. That was why it came as such a shock today that someone I knew from high school passed away from cancer. I consider myself a very young 51, so that is just too young, too soon! Years ago I felt bad for my grandma, in her early nineties, who seemed to always have a funeral of a friend or neighbor to go to. I reasoned that it was because she was older. Unfortunately this seems to be happening more and more often in my own circle of friends. Apparently I am now the one who is getting older. I have lived in Southwest Florida near Sarasota and Babcock Ranch for many years and in this area I really do feel pretty young. Most of the people retiring here are my parents and grandparents age, making me feel quite young. I had the realization back when my brother died years ago that just because you are young, does not guarantee you will live a long and healthy life. It became painfully clear that regardless of your age, your time on this earth is precious. It was during that time that I really started focusing on my health. I had always focused on weight loss and realistically that did not get me too far. I was losing weight on crazy, unhealthy diets that did little more than damage my bones and cause me to lose weight and gain weight just to lose it again. It is not healthy to keep fighting with your weight either. So instead I decided to throw out all the processed food crap in my pantry, being sure to get rid of high fructose corn syrup, fructose, artificial sweeteners and anything with a long list of ingredients I could not begin to pronounce. That is also the time I was doing a lot of research on chocolate. Years ago people did not really realize that dark unheated chocolate was actually a superfood. Let me be specific, I am not talking about candy chocolate. Not even close. 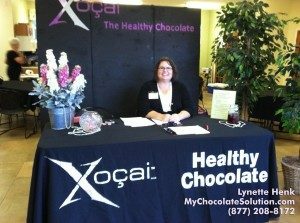 I am talking about the Healthy Belgian Chocolate made by a company called the Healthy Chocolate Company and marketed as Beyond. The reason this chocolate was so different, is that they don’t heat. It is not heated like candy chocolate. It also does not have the waxes, fillers and processed sugars found in even the best Belgian Chocolates on the market. The other thing I love about Beyond, besides the amazing Belgian Chocolate taste is that it it gluten free, most are dairy free, vegetarian, diabetic friendly and even low in calories. Crazy thing was that when I started eating it, I started losing weight slowly instead of gaining weight. Weird, right?! Over the years I have been happy with my annual blood test results since I noticed an improvement in things my doctor cared about like blood pressure, cholesterol and tryglicerides. It was easy to convince my family to eat chocolate and they really did not notice all the crap I threw out anyway. I honestly don’t know if there is anything my friends from school could do to improve their health or if it was just their time as some would say. I would like to think there is some say that we have, something we can do to improve our health. So for me, I will continue to have my high antioxidant protein shakes, eat more organic fruits and veggies, cut down on the bread and the desserts and focus on things that improve my health. Unfortunately I know there will be another day that our friends or family are no longer with us on this earth. All we can do is live our best, appreciate our time here and enjoy family and friends. 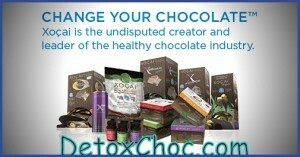 Visit BabcockRanchChocolate.com for more information on the Healthiest Chocolate In The World or call 941-216-5727.